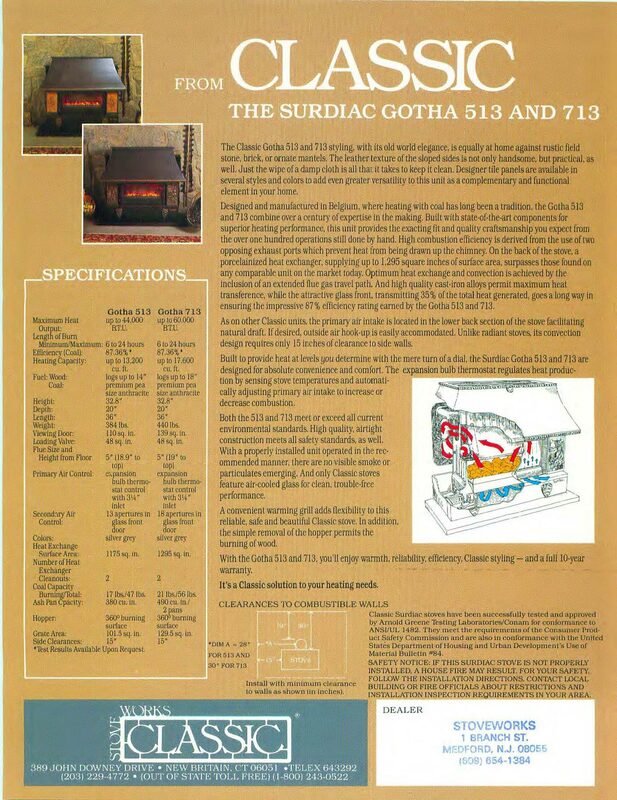 Surdiac Stoves were made in Belgium and imported into the US by Southport Stoves of Ct. These were coal burning hopper-fed convection stoves of high quality with efficiencies up to 84%. 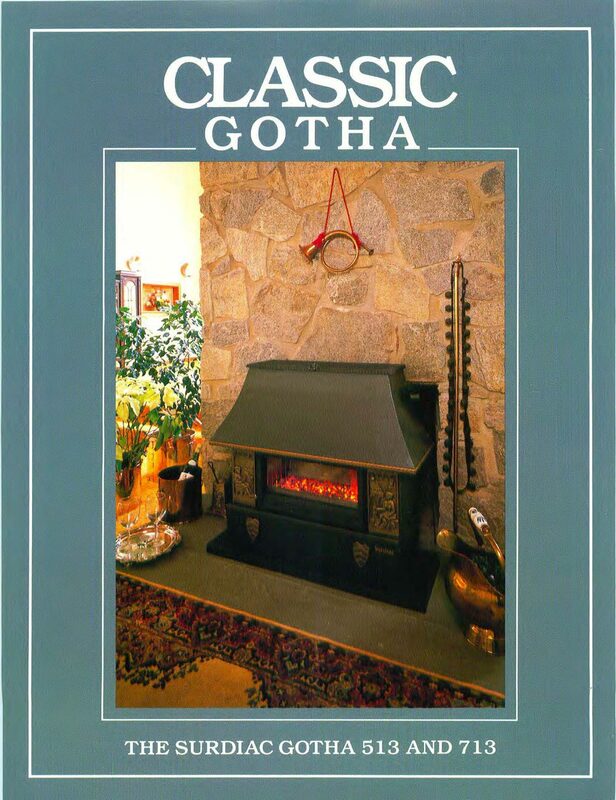 The most popular models were the Gotha series, model 713 and 513. Sales were very high in the 1979-1982 time period and then declined as oil prices eased. The Surdiac line was taken over by Jotul, who had purchased the Nestor Martin Foundry where they were being made. The line was retired as coal became even less popular in the 1990's. Parts for Surdiac stoves can be found at Woodmans Associates. Note: Surdiac also sold a wood model named the LeMarquis.